With about a million vehicles on our roads, what should you know about the compulsory insurance framework and your motor insurance coverage? As specialised motor insurance lawyers, here are some frequently asked questions on motor insurance from drivers that we have represented in the course of our work. The compulsory motor insurance framework is laid out in the Motor Vehicles (Third-Party Risks & Compensation) Act. To operate a vehicle on a public road in Singapore, it is compulsory to obtain insurance coverage from a licensed insurer in Singapore to cover the death of, or bodily injury to, any person arising out of the use of that vehicle on the road. Failure to do so will result in a fine of up to $1,000, or imprisonment of up to three months, or both. What is the difference between comprehensive coverage and third-party only coverage? personal injury or death suffered by others arising through the use of your vehicle. Some comprehensive policies also cover you for personal injuries sustained by you through the use of your vehicle. Third party only coverage is the minimum coverage in compliance with the Motor Vehicles (Third Party Risks & Compensation) Act, covering death or bodily injury to others arising through the use of your vehicle. The practical difference, of course, is price. the policyholder while he is driving someone else’s vehicle. For accidents involving only property damage to vehicles, there is no need to report to the Traffic Police. You are only required to report the accident to your insurer by filing a Singapore Accident Statement at a reporting centre within 24 hours of the accident happening, or the next working day. Failure to report would entitle an insurer to avoid coverage. Late reporting could also result in an increase in insurance premiums. While you are encouraged to try to resolve the claim with the other party, please note that most policies carry a standard prohibition against admitting liability for the accident as this would compromise your insurer’s conduct of the claim should your negotiations fail. I have paid my premiums! I have reported the accident! Why are my insurers still refusing to cover me? Failure on your part to disclose facts to your insurer would alter the risks that they undertake entitles your insurer to refuse coverage. untruthful reporting of the facts of the accident. This typically happens when you ignore calls made to you by your insurers, or refuse to provide information requested by your insurers to aid in their investigations. Non-cooperation can also happen when you fail to notify your insurer of a change in your contact details, leading to their inability to contact you. Once you have been shown to have been driving under the influence of drugs or alcohol, your policy will not cover you. Avoidance of policy coverage is independent of a conviction by the Traffic Police. If you or your driver have been operating a vehicle without the requisite licence or while your licence is suspended, your policy will cover neither you nor your driver. Some policies also require drivers to possess two years of driving experience and/or are above 23 years of age. Most private car policies exclude cover for claims arising while the vehicle was used for hire or reward. This includes lending your vehicle to a friend or relative in exchange for a gratuity to cover car loans, petrol and maintenance, and informal carpooling arrangements where passengers pay the driver a token sum to cover expenses. As such, before participating in any car-sharing or car-pooling arrangements, it would be prudent to ensure that the terms of your policy allow for use for hire or reward. I would like to monetise my vehicle by registering as an Uber driver. What kind of insurance coverage do I need? Uber requires applicants to have insurance coverage for the commercial use of their vehicles before signing up as an Uber driver. For rental companies who have partnered with Uber, their vehicles are covered under a fleet policy that provides coverage for commercial usage. After you have reported an accident, and there are no reasons for your insurer to deny coverage, your insurer will handle the claim on your behalf, subject to the limit of policy cover. Your responsibility is to render your full cooperation and provide your insurer with all the necessary information required. This includes forwarding any claim documents you have received to your insurer and notifying them of any action taken by the Traffic Police against you. If your insurer is unable to resolve the claim, legal proceedings may be commenced against you by the claimant. In such a case, your insurer will appoint a lawyer to represent and defend you. Your responsibility will then be to render your full cooperation to the lawyer appointed. This includes providing signed statements, affirming affidavits and attending Court proceedings. Need advice on insurance claims? If you have any question on insurance claims, you can request a quote from Lim Hui Ying. Alternatively, you can also get a Quick Consult and expect a call back within 1-2 days on the phone to get legal advice for a flat and transparent fee and have your questions answered. This article is written by Lim Hui Ying from Withers KhattarWong and was first published in Withers KhattarWong’s client magazine. Lim Hui Ying has over 7 years of experience in the practice of Tort Law and Insurance Law. She mostly represents insurance companies doing mainly insurance claims across the board i.e. motor, workmen, industrial, public liability, professional indemnity etc. She also advised General Insurance Association on the Insurance Amendment Bill which came into force on 1 September 2009. 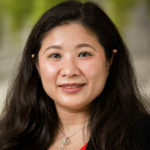 Hui Ying does debt recovery for insurance companies and subrogated recovery claims involving counter-indemnities, contractual recovery and restitution. In addition to her professional work, Hui Ying volunteers in the HELP Clinic at the Subordinate Courts for civil cases annually.